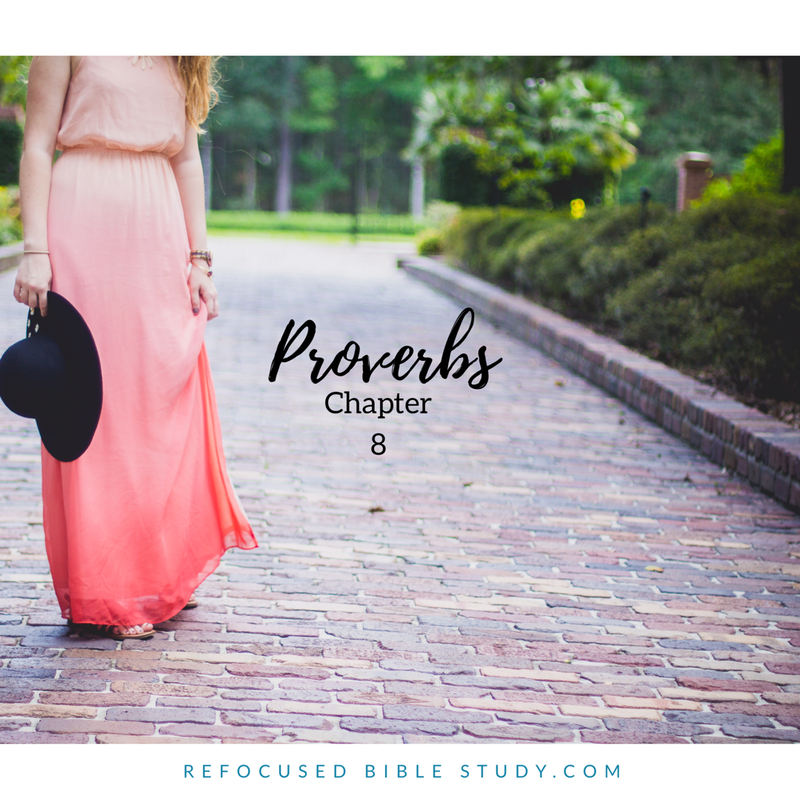 It’s day eight of Proverbs, a chapter a day, here at Refocused Bible Study. Everyday this month, we are reading one chapter a day that corresponds to the date. To dig deeper, we then follow the quiet time pattern below to help interact with the Lord through the verse and apply the truth to our lives. 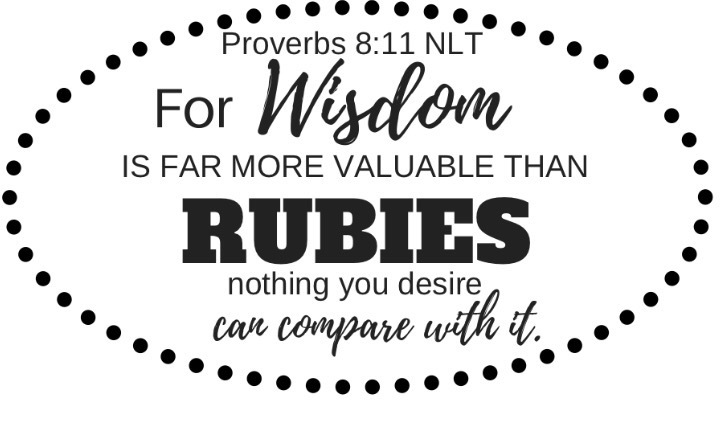 Biblical wisdom is “knowledge applied.” It means not just knowing what God’s Word says, but letting it travel the eighteen inches from your head to your heart and living it out. In the church world, this is called “fleshing it out.” What we read in his word and learn in sermons and in small group bible studies attaches to us so well that we really live what we believe. This is hard. If you don’t think it’s hard to always desire to do what the word of God says, maybe you aren’t reading the same bible we are! Jesus was our ultimate picture of the Word made flesh. He was selflessness in human form; the only person ever to walk this earth and not sin. Thankfully, he knew we couldn’t do life perfectly, so he took the required death that must happen when we sin. Wisdom is walking in our salvation; your robes of righteousness because of what Christ has done. We aren’t righteous because we are good wives, excellent mothers, or church goers. We are right with God because of what Jesus has done. Walk in wisdom by really believing the truths in his word at the level of your heart. 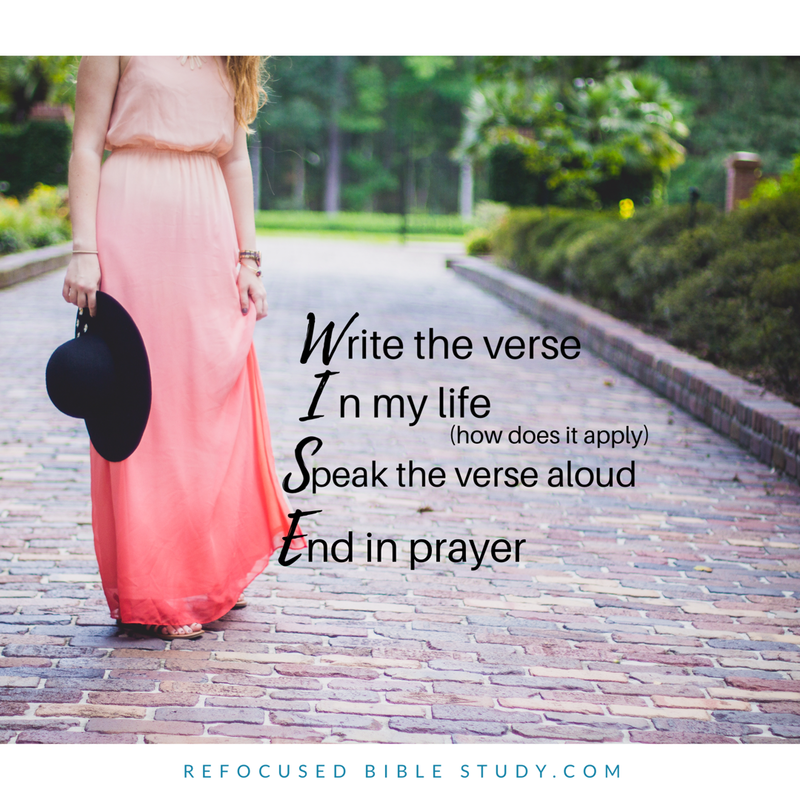 Apply the knowledge of his word, asking God to make it come alive and not just stay in your mind, but to keep breath and a heartbeat and stay in motion from our heads, to our hearts, to our mouths, hands and feet. Thank you for the wisdom you have given us through your word, especially for the wisdom that we are righteous only because of you, our Jesus. You died and rose from the dead for us. You have deemed us fully forgiven daughters. Please help the knowledge from your word move from our heads to our hearts today, living powerfully unafraid, full of the confidence knowing you brings.